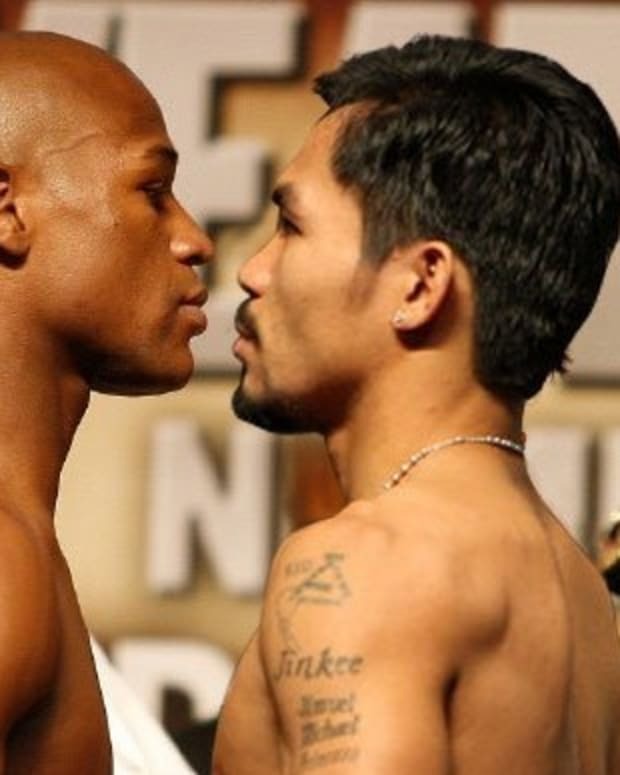 Manny Pacquiao isn’t letting a pesky little thing like an upcoming fight deter him from calling out Floyd Mayweather Jr. After all, what better time to provoke your arch rival than when the eyes of the world are on you? Pacquiao and his team are doing occasional media sessions with reporters this week and next in an effort to rack up some extra buys for their big international event. During a recent conversation with Kevin Iole of Yahoo! Sports, Pacquiao’s trainer, Freddie Roach, indicated that his guy wanted to fight both Mayweather and Juan Manuel Marquez before calling it quits. The latter, of course, knocked him out in the sixth round of their fourth bout against one another last December. The interesting thing about Roach’s comment is that, presuming Pacquiao beats Brandon Rios in two weeks, a fight against Mayweather would be ideal for everyone involved. 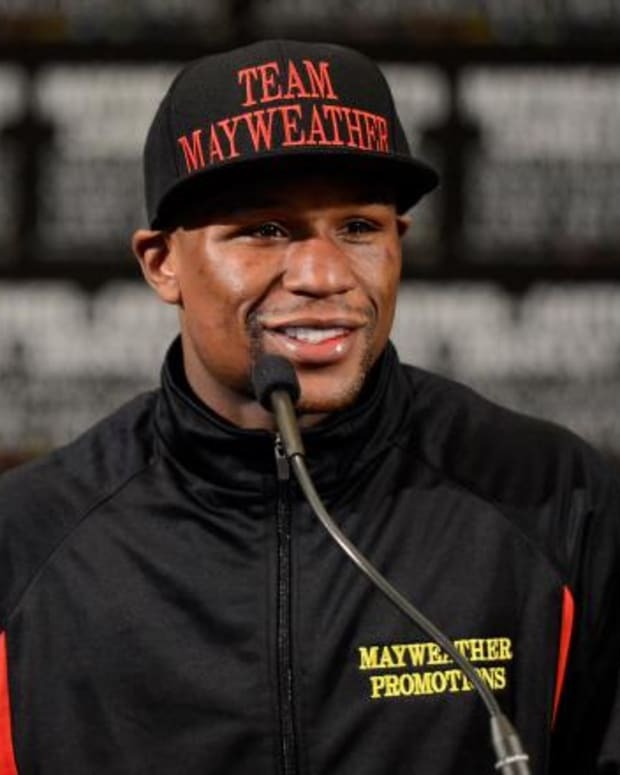 Mayweather desperately needs a big name opponent – hence all the Amir Khan talk. But despite the posturing that’s going on, everyone realizes that Khan hasn&apos;t worked his way back up the mountain yet. If he gets a match against Mayweather it’s by default, because he’s the biggest name available, not because he earned it a la Saul ‘Canelo’ Alvarez. And we all know what happened to Alvarez. 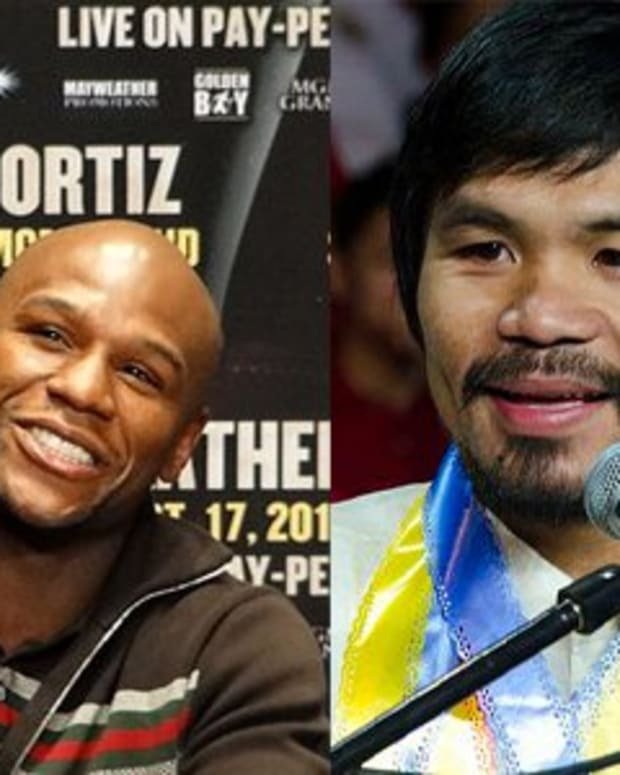 If Pacquiao defeats Rios, and that’s not a given at this point, a fight against Mayweather would be pretty great. As far as Marquez goes, it’s unsurprising that Pacquiao wants another crack at him. You will recall, just this week, Pacquiao more or less insinuated that Marquez got lucky in that last fight. "For my fourth fight against Juan Manuel Márquez I was determined to end our rivalry with finality,” he said. “In training camp -- and it was one of my best camps -- I was focused on being able to dominate Márquez from the opening bell. I trained hard in camp to attack him from all angles. And though he had his moments early in the fight, I knew I was beating him as the fight wore on. I felt the momentum coming my way and I was hurting him badly. I could see it and feel it. But I got careless. The real question is, how many more years does Pacquiao have in him? To fight both Mayweather and Marquez he’d have to put off retirement for at least two years. Is that a realistic proposition? Time will tell.